Art. Promotion. Display. Sculpture. Murals. Products. Multi-media. 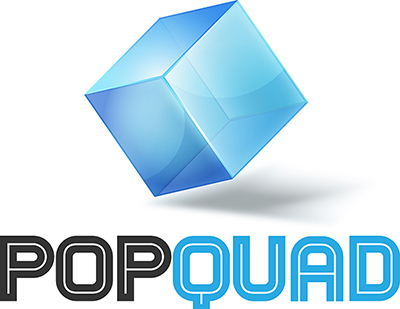 popquad is the ﬁrst in a series of spaces which will be available for multimedia displays and promotions for products, art, sculpture, brands and community. create an exciting and ever-changing visual feast. It could be a single product such as Formula 1 racing car in a dramatically lit glass box. It could be a colourful mural sponsored by a brand to brighten your day. It could be an interactive performance space where the audience is transient and ﬂeeting. It could be a sculpture which interprets, frames and promotes the launch of a new product. It has never been done before so it could be anything. A three dimensional space where anything is possible. Never before has a space been available for artistic and creative people to be unleashed from the traditional forms of advertising and promotions. With a ﬂexible use permit for the sites all located in high traffic areas, a potential has been unlocked for something truly exciting and innovative.